Let's face it, sales reps are always a bottleneck to consistent high-volume conversions. It's not their fault - they're only human after all. Even the best reps are limited to how many high-touch personalized emails they can send in a day. Sure, they can send automated impersonal emails at scale, but when was the last time you responded to one of those? For most companies, getting great response rates from automated outbound seems altogether unachievable. Luckily, modern sales orgs have found a solution. In the Outbound Fundamentals chapter of Data Driven Sales, we'll show you how to use an effective data strategy to automate highly personalized email campaigns at scale. In 2009, Kyle Williams and Ben Salzman, the founders of Dogpatch Advisors, built the seed of what would eventually become their core business when they decided to take an engineering-centric approach to outbound sales. They found that by pulling their Salesforce data into a Google Sheet, they could append personalized text snippets and automatically send emails using Google Apps Scripts. While testing on inbound leads, this approach yielded the same 30% reply rate as their manual emails, but at 10-100x the volume. Mind you, this was years before platforms like Outreach and Customer.io made the process more commonplace. 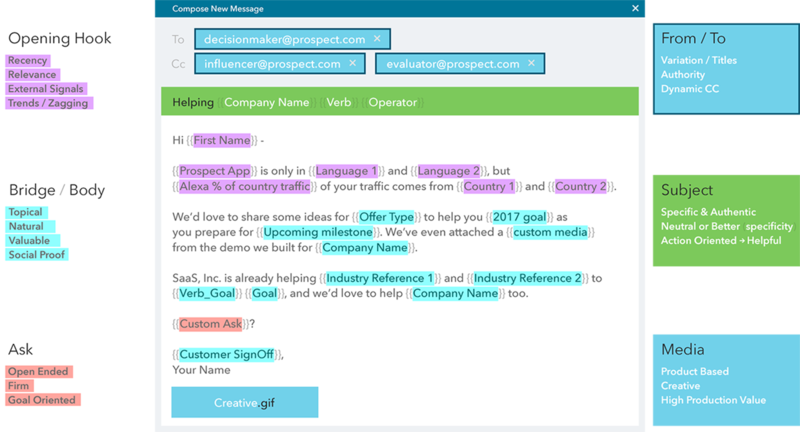 While the results were impressive on field marketing communication, they realized that cold sales outbound was much more difficult to personalize without appearing too "salesy", in part because they didn't have a proper framework for writing the emails, but also because the detailed company data they needed wasn't easily available at the time. 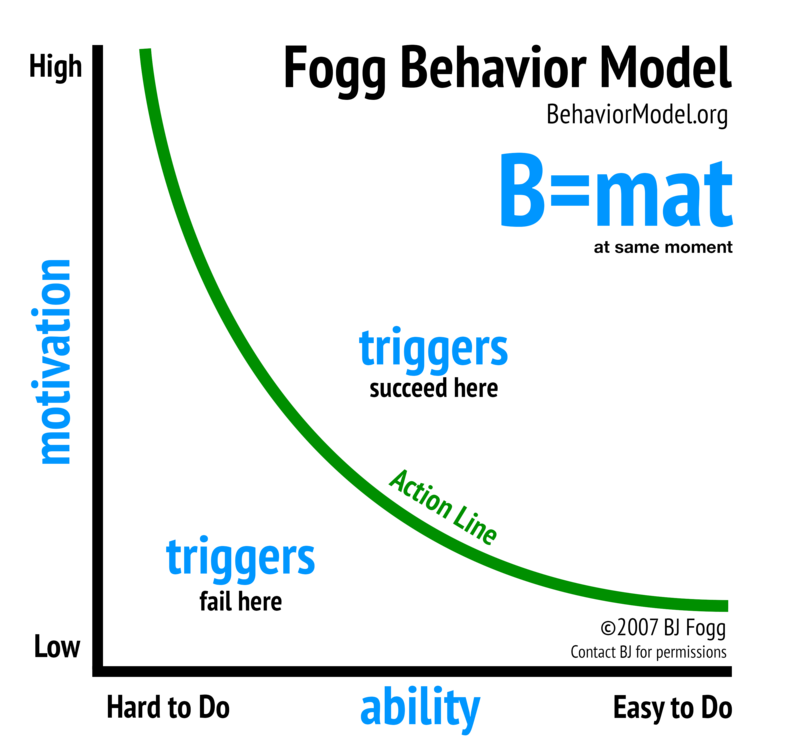 The first issue was solved when they happened upon the BJ Fogg Behavior Model, which allowed them to map a prospect’s motivation and their ability. They asked themselves - what if they could automatically map motivation and ability for each prospect and allow that to inform the call to action? As for finding actionable data - where most companies today could easily purchase the attributes they need from vendors like Clearbit, Ben and Kyle were forced to build custom scripts that could detect attributes like what security vendors a prospect is using. By customizing the call to action with the right data, they built campaigns that produced as high as 70 percent open rates, and a shocking 20 percent first meeting rate. As this work picked up, Ben and Kyle quickly found that relying on sales reps to spend their time culling data and wrangling prospect lists while also fielding responses simply wasn't scalable, and thus the outbound operations role was born. Now working at the Marketing startup Kahuna, Kyle and Ben's data-centric approach to sales quickly allowed them to exceed their pipeline targets and begin to grow out the team. They realized that instead of hiring out a traditional SDR team as Aaron Ross' popular Predictable Revenue dictated at the time, they could accomplish the same work with a smaller team by leveraging an operations-centric approach to sales. Rather than hiring sales reps based on phone skills as was traditional, they focused on written communication skills, and paired the small team with an operations person that would handle all things data from acquisition to cleaning to analytics. They learned very early on that the highest performing campaigns were the ones that evolved from carefully planned and discussed strategies. Rather than haphazardly trying to plan and execute each campaign on the same day, they set up a weekly campaign planning meeting, where they’d tap the brains of the team’s smartest marketers, salespeople, and executives. Another early insight was how often an email would go out that looked something like: “Hi JONES, I noticed you work at Twitter, INC.” These types of facepalm moments outed their emails as impersonal. Outbound Operations began to clean every spreadsheet before it went to the next stage. Before each message (email copy) went into an active workflow, they sent it to the marketing department's leadership for approval. This prevented silly mistakes and off-brand messaging by over-eager salespeople. To achieve constantly improving results, they gave analytics responsibility to one employee, instead of leaving salespeople to their own devices. Housing analytics in one place smoothed out revenue growth, and also gave them the ability to store their learnings in a central repository, as opposed to a half dozen people’s brains. The landscape of sales is changing. Thanks to the work of folks like Ben and Kyle, large traditional sales teams are being replaced by smaller smarter teams that are able to leverage automation and data to communicate personally at scale, and teams following the old playbook will ultimately fall behind. If you want to know more about how to set up an email automation pipeline of your own and start making your salespeople more efficient, read the third chapter of our free e-book Data Driven Sales.